In the below post on this blog, I had covered Turkish artist Ekrem Dülek's 'Boğaç Han' comics serialized in Çocuk Haftası in 1943-44. 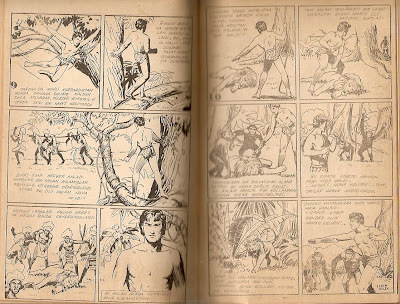 Dülek is also credited as the artist for an odd Tarzan comics published in the no. 43 (dated Sept. 3rd, 1943) of the monthly "special issue" series of 1001 Roman from the same publisher, Tahsin Demiray. 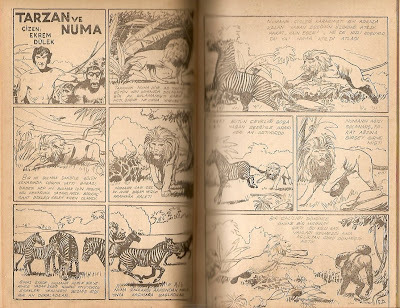 Titled as 'Tarzan ve Numa' [Tarzan and Numa], this is the only instance I am aware of where a comics credited to a Turkish artist had been published in 1001 Roman. 'Tarzan ve Numa' appears to be partially based on the 'Lion' story in E.R. 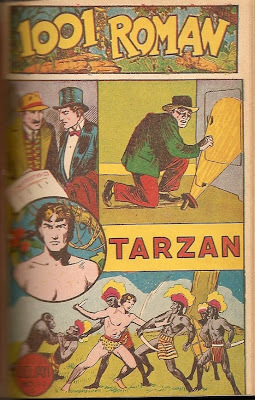 Burrough's Jungle Tales of Tarzan (1919). 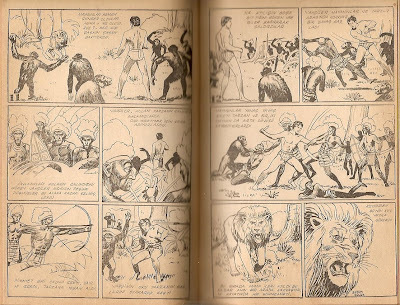 The first 8 pages of the comics where Tarzan sets out to save a gorilla snatched by Numa the lion is a fairly faithful adaptation of the introductory section of this story. 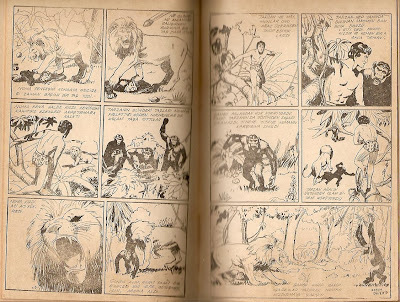 Just when Numa appears on the scene, the natives come back to assault Tarzan and his apes.. I suspect Dülek might have created this comics by tracing from and/or redrawing one or more foreign source. If anyone recognizes any one or set of images from elsewhere, please let us know. 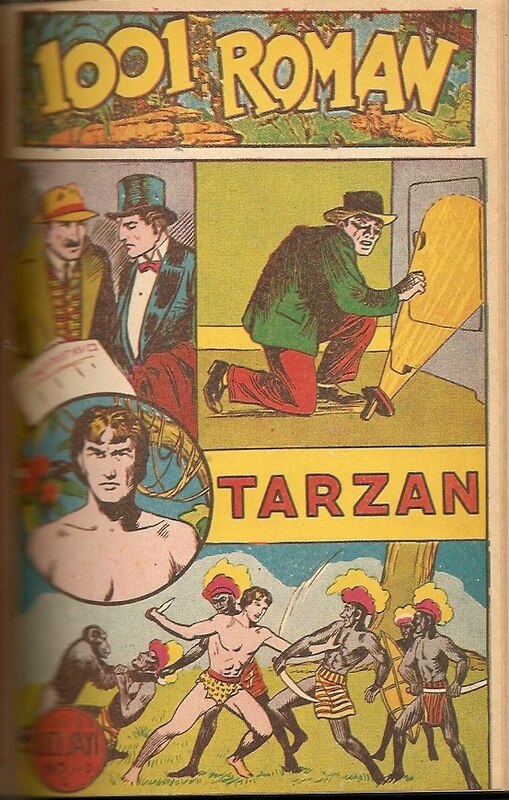 For example, a possible source might be the French Tarzan et le lion (1937) album from Hachette, which I haven't (yet) seen. 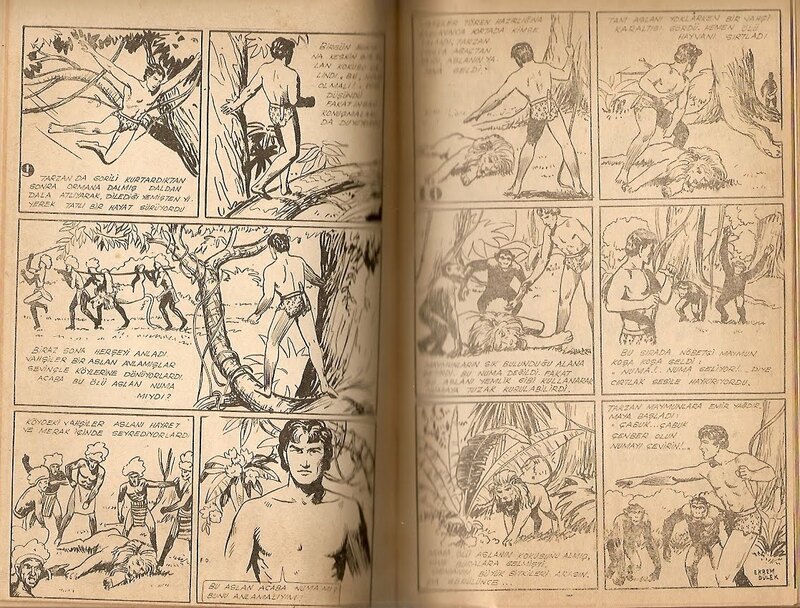 Coming soon in this blog: Turkish-made Son of Tarzan comics serial from 1945!!.. 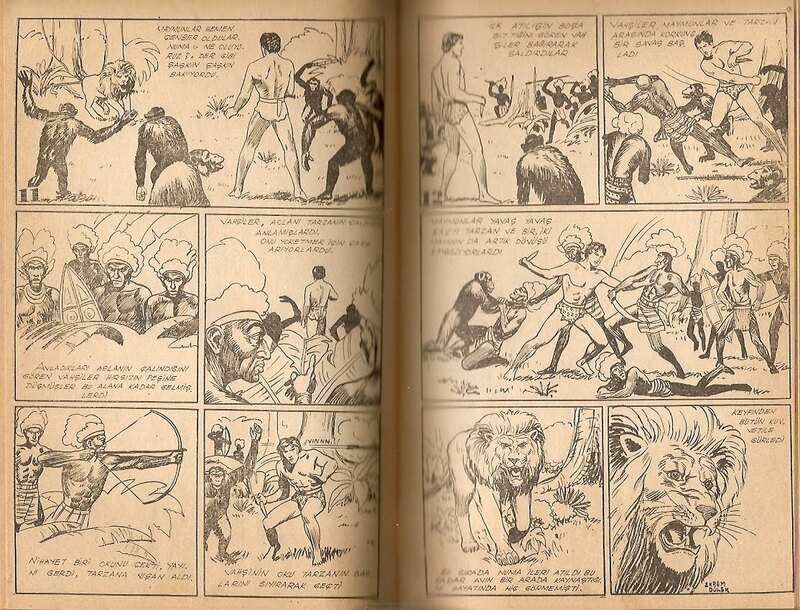 Both these and the previous 'Boğaç Han' comics show distinct swipes from Hal Foster's Tarzan comic strips, most noticeable in the human figures (black and white) and in the horses. 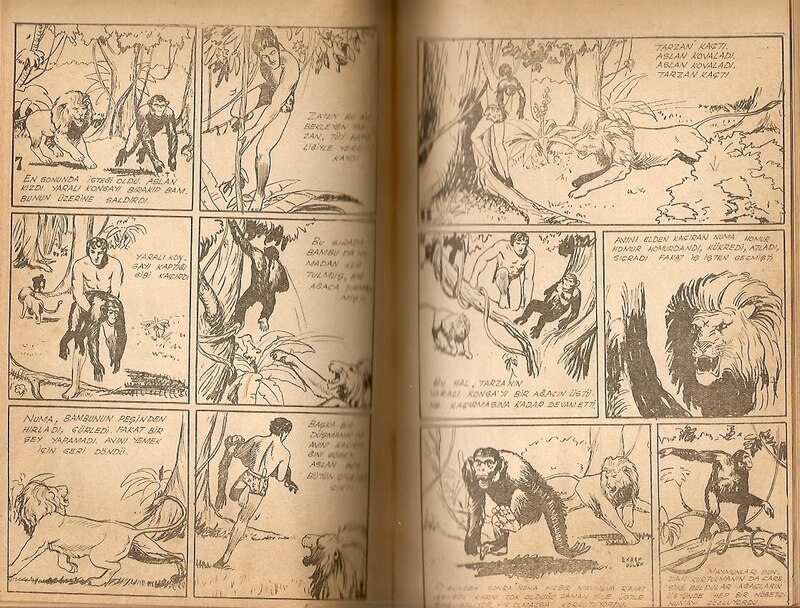 Was the American comic strip serialized in Turkey? Yes, the Foster Tarzans were serialized in Turkey. I've just made a new post on this.